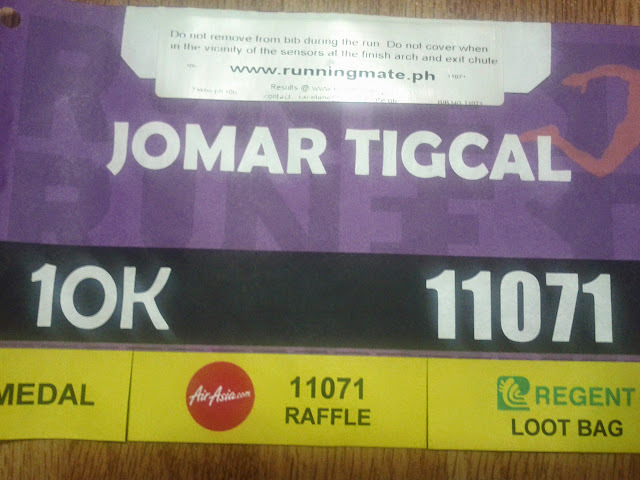 Last July 14, I joined in the 10k category of Takbo.ph RunFest 2013 at Bonifacio Global City. RunFest is a run being organized by Takbo.ph and Leadpack. 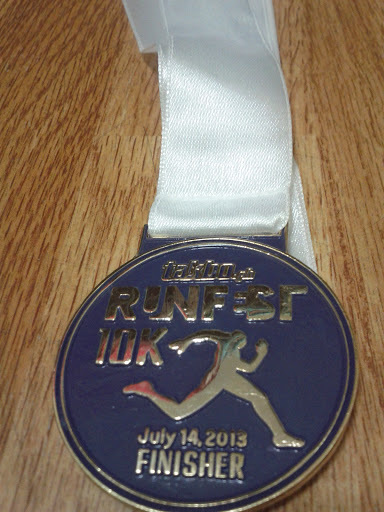 The last time they had a RunFest was in 2011 where I had my first 16k. This year, they only have 3k, 5k, 10k and 21k. There was a personalized bib too so I registered early for this run. I finished the run in around 75 minutes according to the unofficial results. I was unable to beat my best record again but I'm already happy that I finished the run despite the lack of practice and rest and sleep the days before (We had events on Friday night and the whole day of Saturday). After the run, I also got my third finisher's medal.